Little arts and crafts projects are one of my favourite things to do with Arthur but I have to admit, I'm not always the best at coming up with creative ideas. 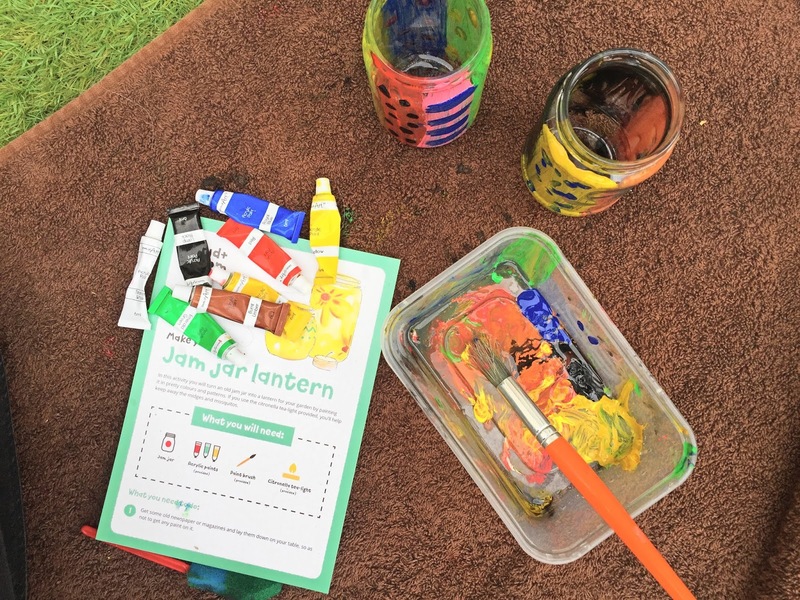 Thankfully, Mud & Bloom did that for me this week, with the wonderful idea of jam jar lantern painting in their June subscription box* and even better - they included a lovely selection of acrylic paints to use! We decided to make the most of the sunny weather and do the project in the garden. 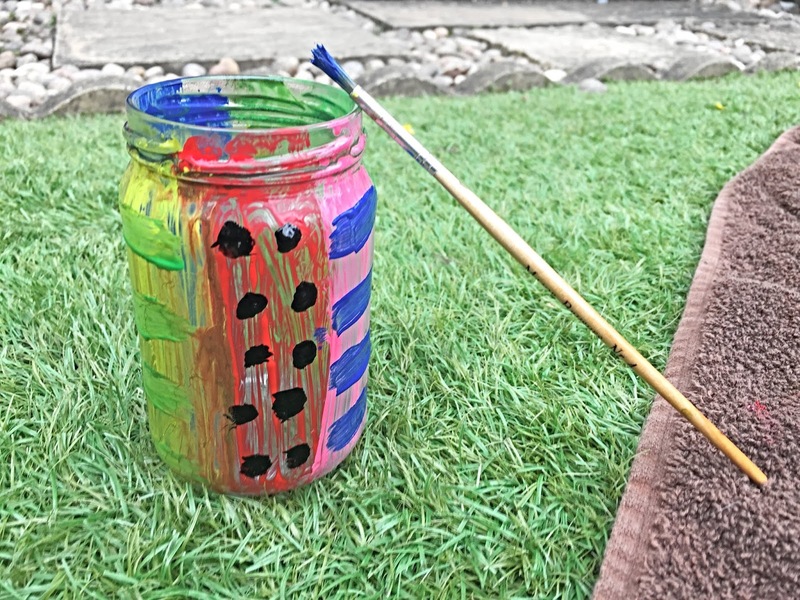 I popped an old towel down to protect the (artificial) grass and used a couple of old tubs and jars for the paint and water. 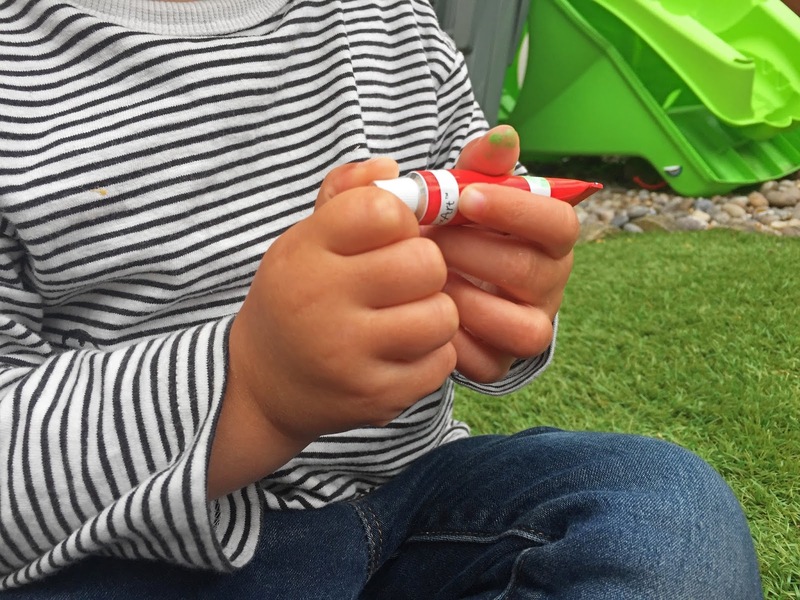 Arthur had a lot of fun squirting the paint into the tub and may have got a little carried away...but that's all part of the fun for toddlers! 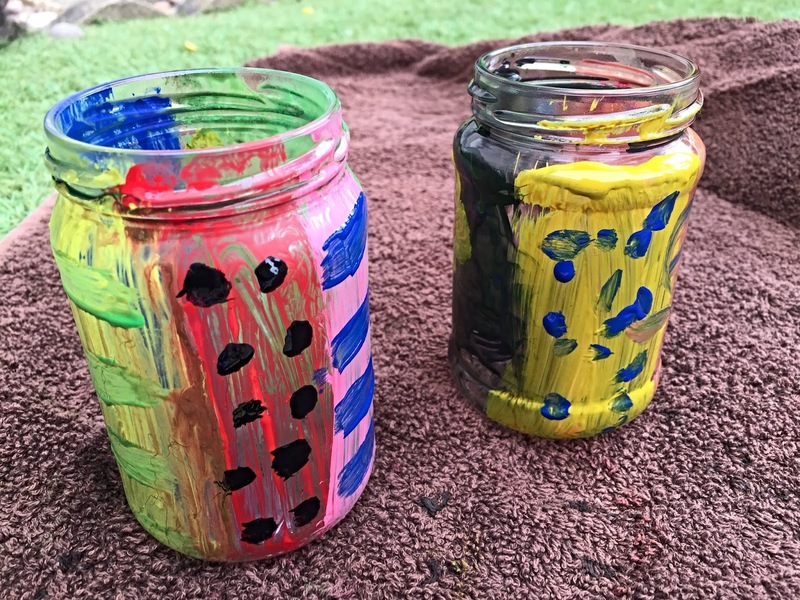 I am in no way artistic but enjoyed painting my jam jar an array of colours and added polka dots and stripes to finish off. 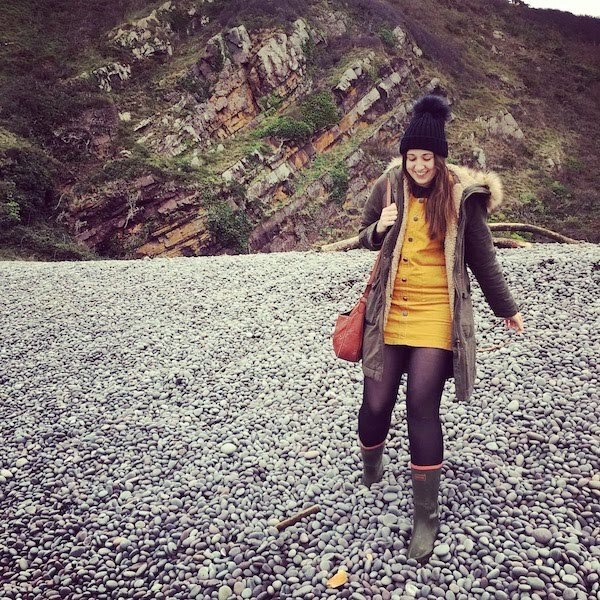 Arthur on the other hand opted for a...erm...lovely combination of black and a pinky-brown colour, so I may have suggested a little yellow to brighten things up! I remember being very into black and pink during my teenage years so it did make me laugh that these were his chosen colours! 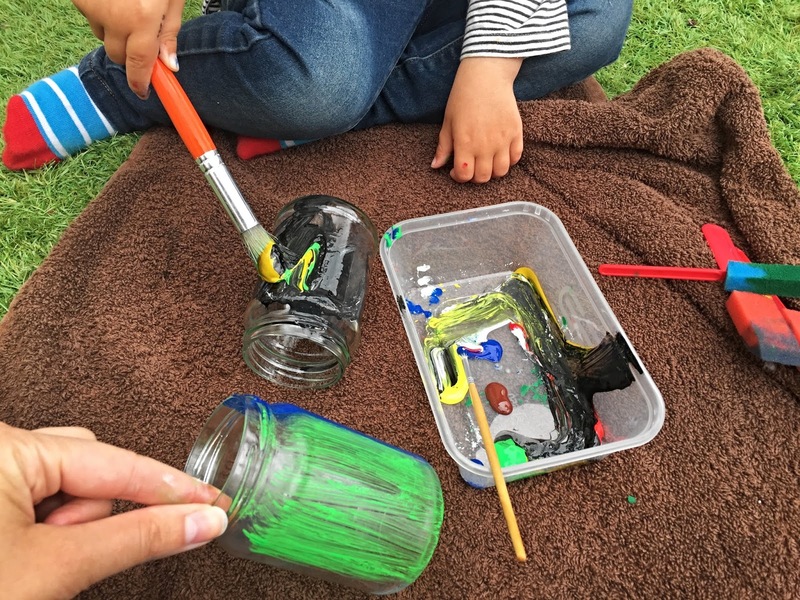 He had a lot of fun doing the painting the jam jars and think he liked the fact he was painting something different - rather than just paper. 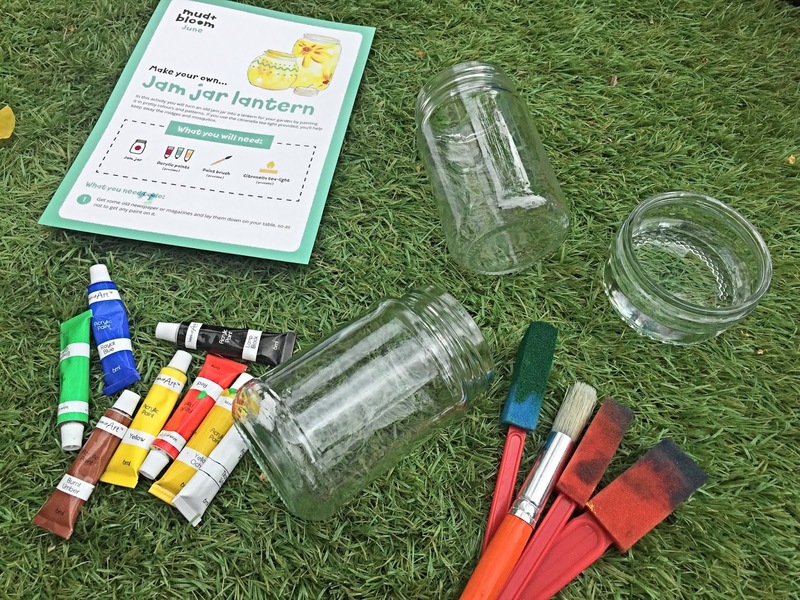 Once dry, you can simply pop a tea light in the jam jars and use them on summer evenings to create a little light source and ambiance, whilst also keeping the flies at bay. I think they're a lovely keepsake too - I'm turning into one of those mums that wants to collect everything their little one makes! 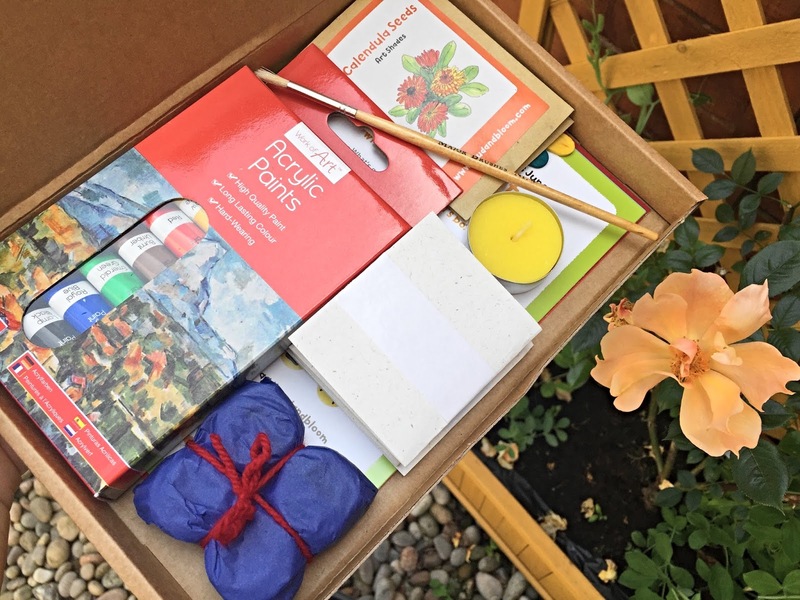 We've also been planting some seeds from the June Mud & Bloom box and have another little craft project to do, so be sure to look out for those posts coming soon. 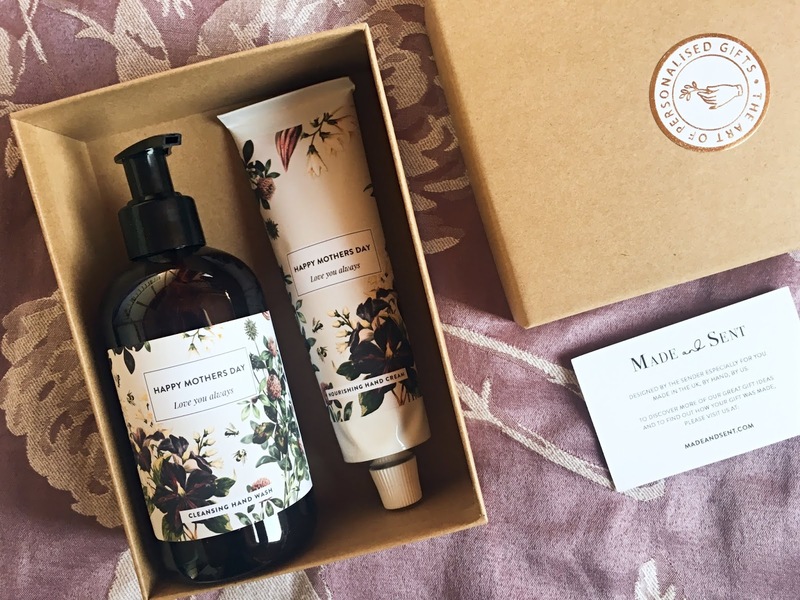 For now, check out May's Mud & Bloom Box review and head over to the Mud & Bloom website to sign up (you can get 10% off your first box with the code FIRSTBOX10).